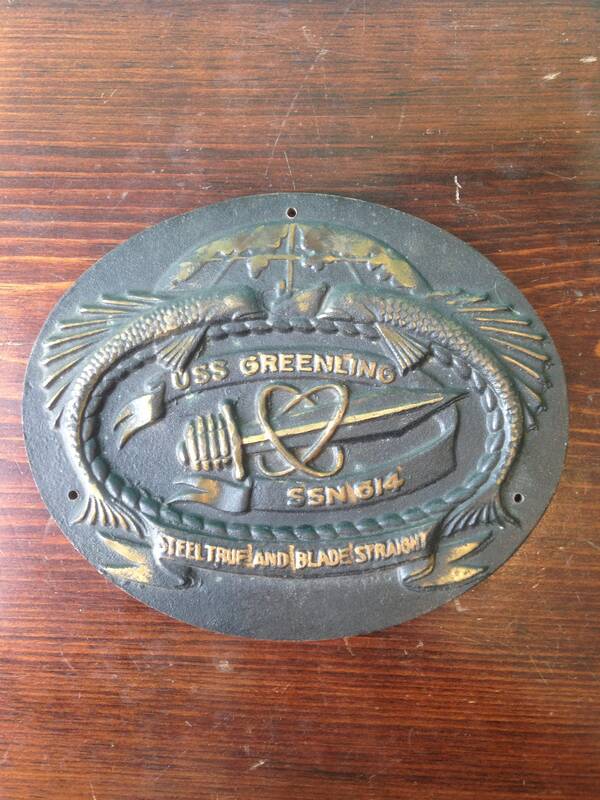 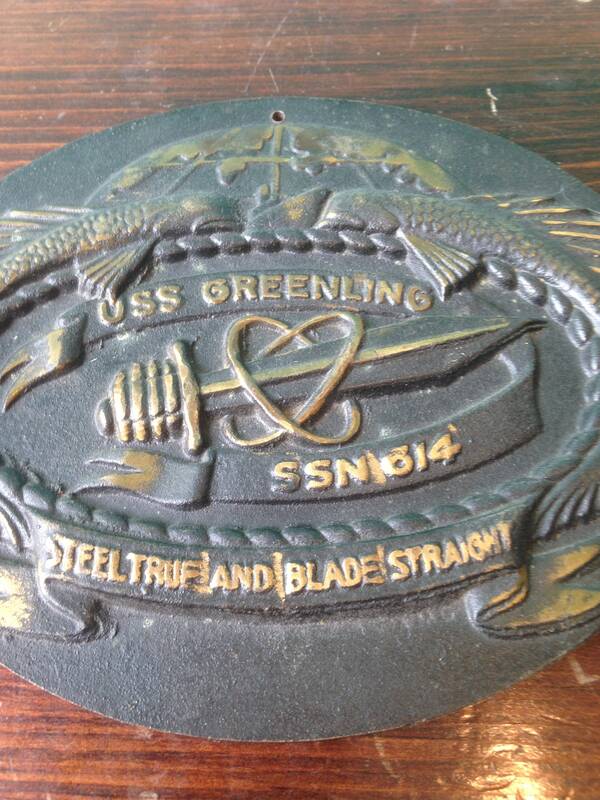 USS Greenling (SSN-614), a Permit-class submarine, was the second ship of the United States Navy to be named for the greenling, an elongate, fine-scaled fish found from Kamchatka to California. 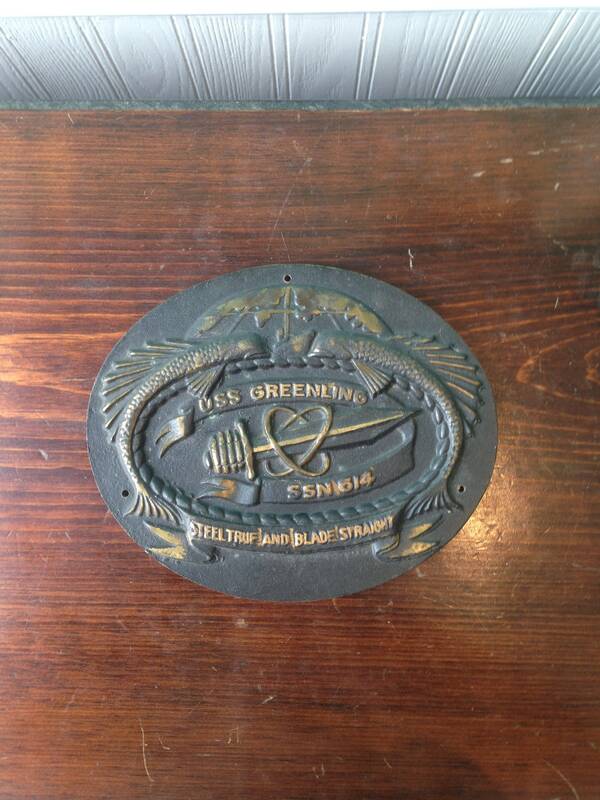 Her keel was laid down on 15 August 1961 by the Electric Boat Company of Groton, Connecticut. 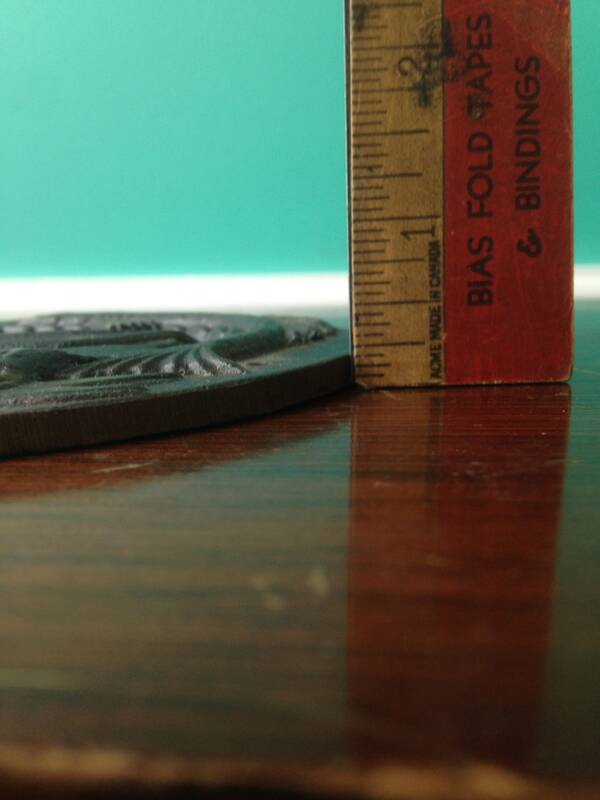 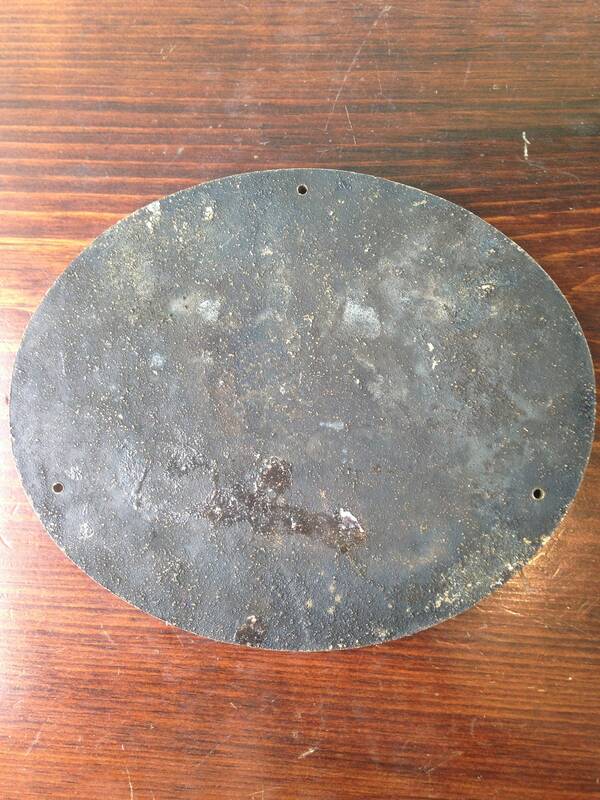 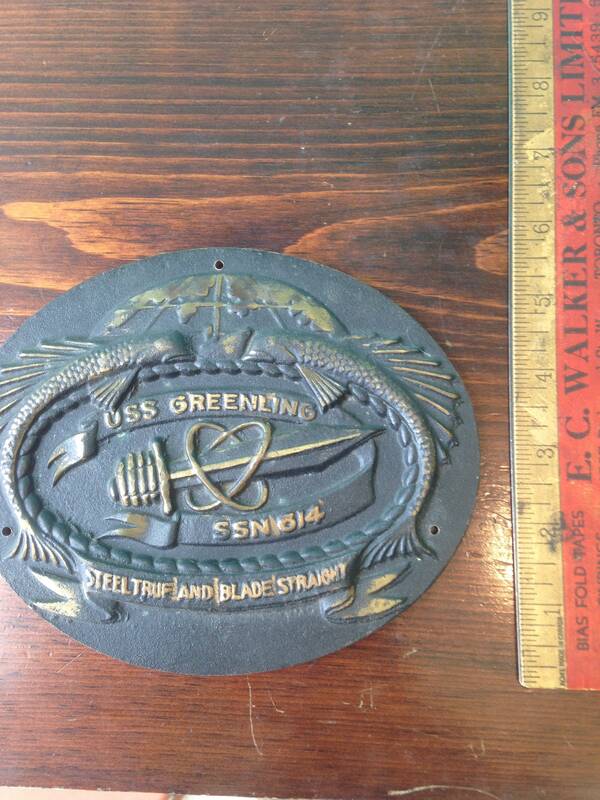 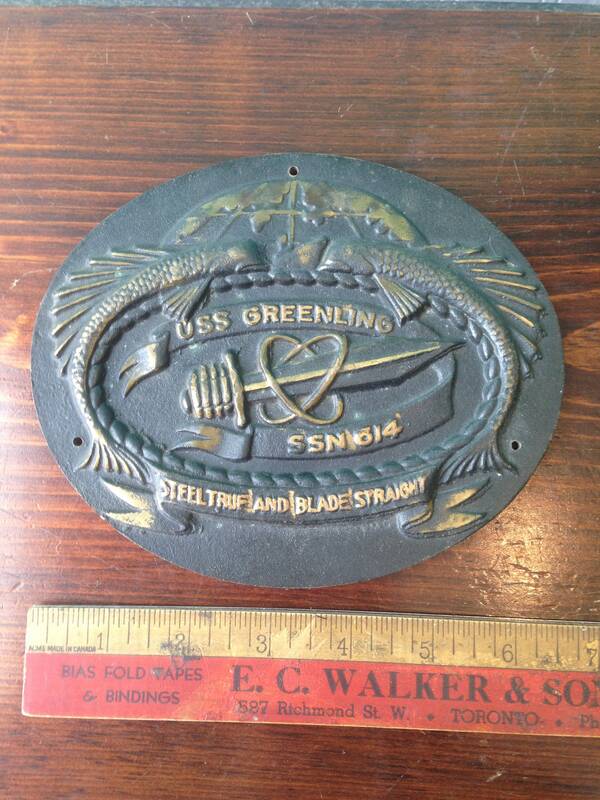 The plate is in amazing condition and has a width of 6 3/4", height 5 1/2" and a thickness of 1/4".